Fabbrica dei Leader in Naples Naples, Italy – Enhancing the excellence and relaunching the best experiences of the southern regions for a winning South. 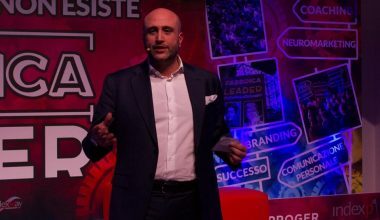 This is the objective of the “Fabbrica dei Leader”, held in Naples on 13th April: a training project for marketing and communication experts organized by Indexway and chaired by Proger’s CEO Marco Lombardi. Luigi Crespi e Luca Telese led the whole day with Riccardo Maria Monti and important coaches like Maurizio Marinella, Giorgio Ventre, Gianni Maddaloni, Federico Monga, to face the new challenges of modernity and communication. A meeting which is part of a wide-ranging path that aims at training and supporting those who wish to keep up-to-date and compare tools, concepts and models, to emerge, innovate and anticipates trends in the world of communication. Sgambati has been appointed Vice-president of Confindustria Chieti Pescara Pescara, Italy - Proger’s CEO, Mr. Umberto Sgambati, has been appointed Vice-president of Confindustria Chieti Pescara and will support the new President, Silvano Pagliuca, Fastweb manager. The new board members have been appointed during the General Assembly, attended by many entrepreneurs and managers representing the over 800 companies of the Association. “I believe that an important part of the success of an entrepreneurial initiative lies in the sensitive and intelligent management of the relationships between its various protagonists, investing in networking and in the development of an organizational capacity able to make the most of the contribution of the individuals”, stated Umberto Sgambati. This is in line with Proger’s mission as, among its objectives, it aims at promoting the best cultural tradition and the “made in Italy” know-how, as well as at creating international development opportunities thanks to the excellence of our territory in order to better express its value. / The first €13 million has been paid as part of the new business plan. Proger’s capital increase takes shape The first €13 million has been paid as part of the new business plan. Rome - Proger Managers & Partners (PM&P) has subscribed and paid in full (€ 13,385,000) the capital increase of the subsidiary Proger Ingegneria s.r.l., ensuring that the latter may in turn subscribe and pay its share of the approved capital increase in Proger s.p.a., of which it holds 67.9%. Proger will use the capital to finance its business plan, announced last autumn, with the aim of becoming more and more an international \"demand generator\" able to develop innovative skills that, combined with appropriate financial and human resources, allow it to invest in \"new projects\" in the identified country targets, building and promoting ambitious business initiatives, in particular in the Green Energy, Security and Healthcare sectors, focusing on a strong cross-cutting technological component, in line with the most advanced methodological approaches. 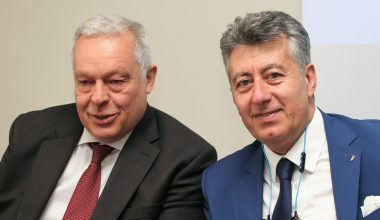 The financial transaction was carried out thanks to a strategic agreement between PM & P - of which Proger\'s Managing Directors, Umberto Sgambati and Marco Lombardi, are the main shareholders - and Cadogan Petroleum Holdings BV, 100% controlled by Cadogan Petroleum PLC, a company listed on the London Stock Exchange. The industrial partnership between Proger and Cadogan will be strengthened by the presence of two figures, including the President, appointed by Cadogan to the Board of Directors of Proger, composed of seven members. \"This agreement\" declares the CEO, Marco Lombardi, \"offers both companies the advantage of potential operational synergies for the development of their respective activities and marks a further step forward in Proger\'s international development path which in recent years has recorded a steady growth in value of production (€ 124 million in 2017 ) confirming itself today as the non-captive number 1 engineering company in Italy\". Proger presents the AWARE project for Africa Rome, Italy - CEO Marco Lombardi presents the project for Africa \"AWARE - Adaptable Water Access & Renewable Energy\", during the event \"La Fabbrica dei Leader\" (Factory of Leaders), organized by Indexway. Proger designed a sustainable water and energy management program, which aims at providing energy and water supply for small-scale agricultural production and for farmhouses and communities. The project is based on advanced technologies that are, at the same time, sustainable and easy to maintain, therefore suitable for a rural context and simple context. Proger ranks 85th in the International Design Firms 2018 chart by ENR New York, USA - Proger ranked 85th among the Top 225 International Design Firms 2018 drawn up by the prestigious American journal Engineering News Records. A valuable acknowledgement that, for the fifth consecutive year, rewards the results obtained by the company within the internationalization process undertaken, and that led it to work in more than 20 countries worldwide. New blanket orders with ENI Proger consolidates its position in the downstream sector In the past weeks, Proger was awarded five open contracts for downstream multidisciplinary engineering services, related to: Eni R&M Refinery of Sannazzaro Eni R&M Refinery of Taranto Versalis Plant in Brindisi Enipower Plant in Brindisi Eni R&M Deposits & Pipeline Northern Area Proger has already managed the same activities from April 2015 to April 2018 and, thanks to its expertise and professionalism, was asked to continue carrying out the engineering services within the plants. New blanket orders with Terna s.p.a. Blanket order with Anas s.p.a. Blanket order with Anas s.p.a. An important contract for the road works to be made in Campania Proger was awarded the blanket order - lot n. 6 (Campania) - for the execution of final and detailed design services for the road works to be made, with a value of € 50-100 million. The Joint Venture is led by Proger, along with Progin s.p.a., Integra Consorzio Stabile di Architettura e lngegneria lntegrata, ldroesse Engineering s.r.l., Prometeoengineering.it s.r.l., ART Ambiente Risorse Territorio s.r.l..
Fuzhou Day in Pescara A further step forward for Proger's Football Town Program Pescara, Italy - Proger was a protagonist at Fuzhou Day with the presentation of the Football Town Program by CEO Umberto Sgambati and the signing of a further collaboration agreement with the Chinese authorities. Football Town Program is an urban development project created by Proger that is based on Made in Italy and involves the construction of a new stadium and a football academy, surrounded by commercial, cultural and residential spaces. The project is designed to be modular, replicable and adaptable for different environments and territorial contexts. The event dedicated to Fuzhou, the largest city in the Chinese province of Fujian (7,600.000 inhabitants), has sealed the partnership with Pescara started a year ago thanks to the Proger\'s initiative, in the context of activities related to the Football Town project. The city of Pescara welcomed a large Chinese delegation of institutional representatives and cultural operators to the Aurum, led by the Minister of Foreign Affairs of the municipality WuXiaojie and the local MP of the Chinese Communist Party Lin Xiaoying, to celebrate Fouzhou Day with a day dedicated to artistic and cultural exchange and business meetings between Chinese and local companies. \"It was a good opportunity to get to know each other,\" said Mayor Alessandrini. \"A concrete exchange was created with the project built by Proger, the Foreign Centre of the Chieti-Pescara Chamber of Commerce and Pescara Calcio that was adopted institutionally by the Municipality. The agreement was initiated a year ago, and since then we have already had several opportunities for meetings, hosting delegations from China and receiving hospitality from the city of Fuzhou. We are always trying to create profitable contacts between our respective economic, sports and training sectors, with the intention of expanding the relationship to the cultural sphere to create a celebratory moment of such relations between territories as soon as possible\". Completion of the new Piedmont Regional Government headquarters Regarding the completion of the Piedmont Regional headquarters, Proger, in a JV with Manens Tifs, was awarded the contract for the management of the technical services and construction supervisor, as well as measurement, accounting and assistance during testing. The design, signed by Fuksas, refers to the construction of a skyscraper, which is 205 m tall and has 42 floors. This is the third highest building in Italy, after the Unicredit Tower and Isozaki Tower in Milan. 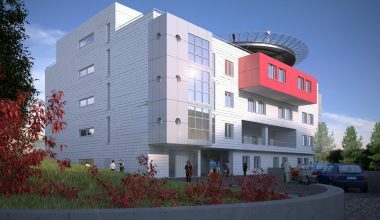 The hospital in Lagonegro, Italy Potenza, Italy - Proger was awarded the contract for design services for the expansion of the hospital in Lagonegro, Basilicata. Our company is the leading company of the group, along with Manens-Tifs and Planning Workshop. The offer refers to the architectural, engineering and geology services, with related surveys, for the preparation of the technical and economic feasibility design, the final and detailed design and the safety coordination during design for the upgrading and safety of the Lagonegro hospital divisions, in viale Colombo. This contract could lead to the assignment of construction management services, accounting and safety coordination services during detailed design. The project involves: The construction of a new building block, equipped with an appropriate anti-seismic capacity, on whose rooftop the heliport will be built; The creation of an air and basement connection between the new building and the existing facility; The redistribution of the pneumology, cardiology and medicine wards, of the out-patient rooms, and the day-hospital rooms; The refurbishment of non-health services, in particular of the following: kitchen, morgue, pharmacy, chapel, “dirty” and “clean” laundry deposits; The arrangement of the external logistic services. Proger among the founding members of Hubruzzo A Foundation to promote new talent Pescara, Italy - Proger is one the founding members of Hubruzzo, along with L-Foundry, Valagro, Almacis, Honda Italia, Tecnomatic and Zecca Energia. This foundation, whose general secretary is managed by the company Carsa, aims at promoting excellence from the region of Abruzzo. The Hubruzzo Foundation wishes to: Enhance the excellent entrepreneurial system inspired by the principles of responsibility, sustainability and humanism. Narrate the industrial sector through entrepreneurs who have been able to “read” the territory, using their vocations at the very best. Promote responsible industry from Abruzzo in Italy and in the world, through the creation of a cultural, scientific, institutional, territorial and economic network. Develop alliances at national and international level, to nurture an exchange network characterized by knowledge, skills and best practice. A way to give value to the regional industrial system and attract talent – supporting international tenders, industrial PhDs, sector research – fueling a “glocal” business culture and building an industrial community that fosters the exchange of knowledge. This project will start with the completion of a first study about the “qualities of the Bank of Abruzzo ” to be performed by Fondazione Symbola, with the aim of collecting, analyzing and giving shape to those who work for the qualitative transformation of the productive system. 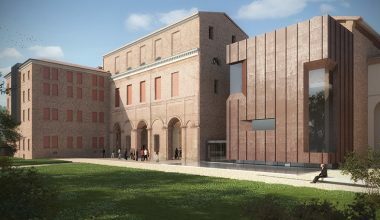 Palazzo Massari – Order of Malta in Ferrara Proger, in JV with the Architecture Firm ABDR (leading company) was awarded the contract for the final and detailed design, the construction supervision, and the safety coordination during design and execution related to the restoration and development of the museum complex Palazzo Massari-Order of Malta in Ferrara. The grouping won the tender by the Municipality of Ferrara through a restricted European negotiated procedure consisting in two phases, after competing with 38 internationally important firms. In this regard, our company is responsible for the structural and MEP design, for the construction supervision and safety coordination during execution phase. Blanket order with Eni for “health facilities” Rome - ENI awarded Proger with a blanket order for the acquisition of services related to the implementation of “health facilities” both in Italy and in extra UE countries, where ENI works. These countries are: Algeria, Angola, Australia, China, Cyprus, Congo, Ecuador, Egypt, Gabon, Ghana, Indonesia, Iran, Iraq, Kazakhstan, Kenya, Libya, Mozambique, Myanmar, Nigeria, Pakistan, United States, Timor East, Tunisia, Turkmenistan, Venezuela, and Vietnam. This is a three-year contract concerning services related to the healthcare sector that regard in particular technical support for the development and maintenance of the requirement systems of its healthcare facilities and technical support for the development of healthcare facilities design (both refurbishment and new constructions) for all the affiliated companies that work in the various countries. Highly specialized activities guaranteed by Proger thanks not only to its specific professional qualifications and its long lasting experience in the healthcare sector, but also to its continuous research activity in the sector as specialist aggregator and its networking capacity. “Kick-off for the new stadium” event in Pescara Pescara, Italy - Proger is the Program Manager of the “Calcio d’Inizio per il nuovo Stadio” (“Kick-off for the new stadium”) of the Pescara Dolphins. The event scheduled for Thursday 30th November at 17:00 at the exhibition centre in the Tourist Port in Pescara. There will be present, among others, the President of the Coni, Giovanni Malagò, the CEO of Juventus, Giuseppe Marotto, the ex-footballer and now Sky commentator, Gianluca Valli, and Andrew Abodi, the Credito Sportivo President, together with the CEO of Proger, Umberto Sgambati. 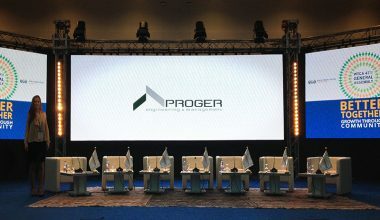 Italy Algeria Business Summit 2017 Pescara, Italy - Proger is the lead sponsor of the \'\'Italy-Algeria Business Summit 2017 \", a major institutional and business meeting to be held in Pescara on 20 and 21 November. 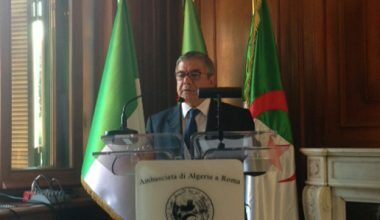 The event will be attended by the Algerian ambassador in Italy, Abdelhamid Senouci Bereksi, a large delegation of Algerian companies, members of the FCE (the most important association of Algerian enterprises) and Italian representatives of local institutions and numerous businesses in construction, infrastructure and transport, oil & gas, renewable energy, automotives, healthcare and pharmaceutical industries, food processing and tourism. 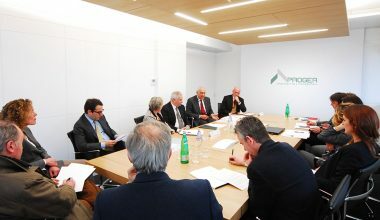 The appointment – which came into being thanks to the synergy between the city of Pescara, the Foreign Centre of the Chamber of Commerce of Pescara, and the World Trade Centre in Pescara and Algiers - will take place over two days with the aim of strengthening and establishing new economic relations between Abruzzese and Algerian entrepreneurs. This event is part of the initiatives supported by Proger in light of its commitment to act as a \"bridge\" between their own local companies in order to promote \"Made in Italy\" from every point of view, from innovative technologies and systems to products and avant-guarde machines, from design to cuisine, from tourist promotions to cultural and artistic ones. Presentation of the project of the new Pescara football stadium Pescara, Italy – Proger has presented the masterplan of the new stadium in Pescara today, in front of the Minister of Sport, Luca Lotti, and the president of the Region, Luciano D’Alfonso, the mayor of Pescara, Marco Alessandrini and the president of Pescara Football, Daniele Sebastiani. A new functional, modern and sustainable stadium, with approximately 20,000 seats, and commercial spaces, restaurants, services and a VIP box. The site of the new facility will be 10 hectares and will be situated in the area of the \"Pineta Dannunziana\" pine forest, which will be expanded and protected in the broader framework and major redevelopment of the surrounding area (approximately 130,000 m2), in the name of eco-sustainability and enhancement of green spaces. “This project”, declared Umberto Sgambati, Proger CEO, “prefigures and anticipates the needs of the facility and its surroundings in the coming years, and at the same time represents a great opportunity for Pescara. A stadium of these dimensions and characteristics will be, in fact, a focal point of immense importance, from an economic and social point of view, for the whole city.” “The project is so beautiful, on paper, that it makes Pescara dream” commented Minister Lotti, “and we must consider that today is the start of a quick approval of the masterplan and to try and start the works and the inauguration of the new stadium immediately, in the public interest”. Three new blanket orders with Eni Proger enters the downstream sector Rome - Proger won 3 blanket orders concerning the development of downstream multidisciplinary engineering services for ENI S.p.A. The first concerns the Refining & Marketing Division at the Refinery of Livorno, the second one relates to EniPower plants in Ferrera Erbognone (PV), Ravenna, Bolgiano (MI), Mantova and Ferrara and the third contract involves Syndial’s sites. Proger ranks 81st in the International Design Firms 2017 chart by ENR Proger has been ranked, for the 4th year running among the top 100 international engineering companies in the world achieving 81st place in the Top 225 International Design Firms of the Engineering News Record – an increase of 4 places compared to last year. Launch of the Training Centre in Ashgabat Ashgabat, Turkmenistan - On 30 June, Proger attended the launch of the new Training Centre in Ashgabat, in Turkmenistan. The official ceremony was attended by local and national authorities – including the Vice President of the Council of Ministers Maksat Babayev -, international companies, and the whole technical staff involved in the construction works. The Training Centre aims at training people in the oil&gas sector, at bringing students closer to new technologies and at creating a cultural and professional exchange through new study methods and the involvement of national and international teachers. The facility is made up of two modern buildings, with a total surface of 10.000 square meters: the main building is dedicated to educational activities and the second one is to be used for accommodations, besides two external structures (covered parking, sports center, etc.). The complex can host about 400 people. Proger supported Eni, sponsor of the project, dealing with engineering and management activities for the control of the investment. New Diaverum Center in Riyadh Riyadh, Saudi Arabia - Yesterday our Chief Executive Officer, Umberto Sgambati, and Proger KSA Deputy Branch Manager, Carlo Cattero, attended the opening of the Diaverum Center in Riyadh. 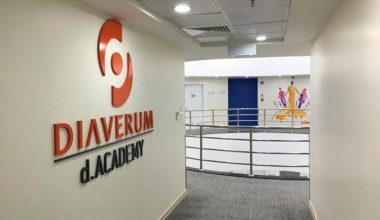 The new pole is made up by a single building which contains a big dialysis center, Diaverum\'s Administrative headquarter in Saudi Arabia, the Saudi Ministry of Health and the modern D-Academy training center used to train the personnel of the Swedish company. Proger has been cooperating with Diaverum since 2014 for the development of new clinics for diabetic nephropaty patients in Middle East and it was in charge of Design Review, Design Development and Project and Construction Management activities. The opening was attended also by the Saudi Minister of Health, Tawfiq Al-Rabiah, the Swedish ambassador in Riayd, Diaverum Global Chief Executive Officer, Doug Anderssen and Diaverum Manager for Middle East, Mans Olsson. Proger signs an MoU with Italferr Rome, Italy - Proger has signed a Memorandum of Understanding with Italferr with the aim to promote integrated activities for the joint participation and development of infrastructural projects in different countries in Eastern and Southern Europe, Middle East and Central Asia. The objective of the agreement is the creation of a strong partnership between the two companies to increase the ability to enter into the marketplaces identified through the development of joint business and marketing initiatives and the participation in business projects and opportunities. The Memorandum of Understanding – which will last a year – was signed by Marco Lombardi, Proger’s Managing Director, and by Carlo Carganico, Italferr’s CEO. Proger at OMC 2017 Ravenna, Italy - Proger participates as Gold Sponsor at the XIII Offshore Mediterranean Conference, one of the most important international events of the Oil&Gas industry, from 29th to 31st March in Ravenna. The 2017 Conference will address the theme “Transition to a Sustainable Energy Mix: the contribution of the oil & gas industry”. During the event Proger will speak in three technical sessions about “Health, Safety & Environment in Offshore Operations,” “More Efficient Exploitation Of Existing Resources” and “Offshore and Deepwater Technologies”. By its stand (E8, Hall 7) it will be possible to find useful and in-depth information about Company’s activities and projects at international level. Santobono hospital in Naples Napoli, Italy - Proger was awarded the tender for the engineering services supporting the complex technical structure of theSantobono-Pausilipon hospitals, in Temporary Business Association with Manens-Tifs. 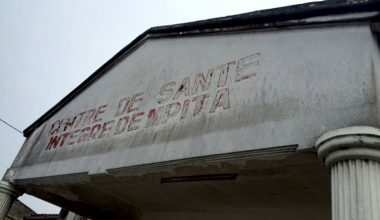 The main subject of the activity is the creation of a technical office supporting the structure of the Client for all those activities concerning requalification works, legal adaptation, supervision of ordinary and extraordinary maintenance activities, management of the property assets of the three hospitals (Santobono, Pausilipon and Annunziata) and of the administrative office of the hospital. ‘Campioni di InnovAzioni 2016’ award Pescara, Italy - On Friday 4th November the Innovative Services section of Confindustria Chieti Pescara has given the Award “Campioni d’InnovAzioni 2016 - Grande Impresa” to Umberto Sgambati, Proger’s Chief Executive Officer. 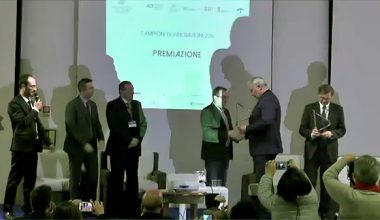 The Assessment Committee of the Project Innovation - Tools and Solutions for the growth decided to bestow him this award “for the extraordinary innovative skills of the Company, making it a model for the entire Italian entrepreneurial system”. 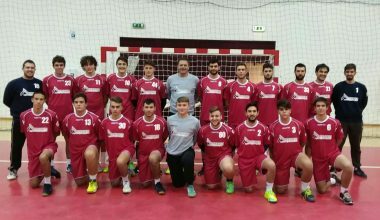 A handball team for Proger Teramo, Italy - Proger is the new sponsor of the New Handball Men’s Team of Teramo, that last year, after having predominated throughout the B league, conquered in its first year the promotion in the A2 league. Since the beginning of its history Proger has always promoted social initiatives linked to the Abruzzo territory, strongly convinced of the positivity of the ethical and educational values spread by sports, mainly and local level and among young people. E-waste management Rome, Italy - Proger started a new program to manage the Waste of Electric and Electronic Equipment (WEEE). In view of the know-how gained in over 60 years dealing with complex projects and of the remarkable experience achieved alongside international companies, Proger wishes to accompany the client in a proper waste disposal management and recovery of materials, during all phases of the process, always in line with the most innovative technologies and with regard to environmental protection and to the efficient reuse of resources. Such a result had been possible also thanks to the great skills of the company in developing partnerships and strategic alliances with highly specialized sector expertise and in integrating systematically the different parts of the project, as guarantee of a high quality and expert service offer. Proger sponsor of the new Algerian Embassy Residence Rome, Italy - Proger is among the sponsors of the refurbishment of the Bufalotta residence of the Algerian Embassy in Rome, conceived by the Ambassador Abdelhamid Senouci Bereksi as “bridge” between Italy and Africa to facilitate the dialogue and relations among different countries. The new area was inaugurated on Monday 26th September and the event was attended by several national and international entrepreneurs and diplomats. During the ceremony, Proger’s CEO, Umberto Sgambati, remembered the first steps undertaken by the company in Algeria for the development of the first tramway line in Algiers in 2006 and in Constantine in 2007. He also pointed out and relaunched the great commitment of the company in different African countries with which, in the past decade, Proger created and consolidated strong relations, by signing joint ventures and strategic alliances, with the aim to accompany their development. Proger invited at the Fiera del Levante to talk about healthcare Bari, Italy - Proger was invited to attend, on Monday 12th September, a meeting on new healthcare building facilities in Puglia, organized at the Agorà of the Regione Puglia Pavilion, during the 80th Fiera del Levante, one of the main Italian and Mediterranean Trade Fairs, held each year in Bari. 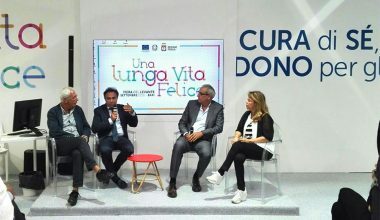 During the event, the general managers of the Asl of Bari, Taranto and Lecce, together with the designers, made a speech on the topic “The new forthcoming big hospitals” to show the designs of the two new hospitals “Monopoli-Fasano” and “San Cataldo” in Taranto and the current realization phase of the new emergency-urgency facility of the hospital “Vito Fazzi” in Lecce. Architect Mara Morelli and Doctor Diana Tamburi attended the event on behalf of Proger and presented in details the project of the new hospital Saint Cataldo in Taranto, the biggest infrastructural investment of the regional healthcare service occured in the Puglia Region in the past years. Proger has other projects ongoing in Puglia, region in which the company is a leader in the healthcare industry, being involved in the construction supervision of the expansion and renovation of the Polyclinic of Bari and in the construction supervision of the Lecce hospital Emergency Department. Vicenza ring road Vicenza, Italy - Proger, with the Consorzio Cooperative Costruzioni - CCC Società Cooperativa and Consorzio Stabile Infrastrutture, was entrusted with the tender called for by Anas for the detailed design and execution of the completion works of the first phase of the first section of the Vicenza Ring Road. 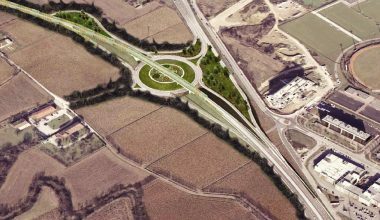 The work starts from the Western Ring Road of the city and involves the municipalities of Vicenza and Costabissarra. The section, that presents two intersections with the state highway 46, extends for about 5,300 m. With reference to the final project as in tender specifications, a number of technical improvements have been examined, such as the optimization of soundproof barriers on the viaduct of the Viale del Sole junction, the establishment of some rest areas long the service routes that will create a real tourist path with information panels for cyclists and pedestrians and particular environmental mitigations that foresee the introduction of special arrangements for the roundabouts and the viaduct, in order to enhance the historical and cultural promotion of the territory. One year support to a vaccination centre in Congo Pointe Noire, Congo - Proger has signed a partnership agreement with the Health Department of the Kouilou Region, in Congo, to support for one year a vaccination centre in Pointe Noire: the CSI (Integrated Health Centre) of Mpita, a densely populated borough of the city. The project, conceived with the aim of promoting the healthcare of those communities that live in the areas the company works in, with the collaboration of local stakeholders and on the basis of the Country’s policies, is linked to the national vaccination strategy set by the Ministry of Health of the Republic of Congo for the 5-year period 2016-2020 (Programme Elargi de Vaccination - PEV). More specifically, the project’s objective is to contribute to the reduction of the incidence of the major endemic diseases, on one hand, according with Proger’s competences, through the strengthening of CSI plants and, on the other hand, through the organization and management of a customized awareness campaign. This will be mainly addressed to children and mothers: in this regard a prompt action is particularly important because it is decisive for the future of the country, and it will involve the surrounding population during the implementation phase of the program, by favouring the creation of professional opportunities for the local communities. Proger has been working in Congo since 2009 and, thanks to this initiative, it confirms once more the attention it addresses to the realization of sustainable, efficient and responsible social projects in those countries where it works, trying to positively impact the development of the hosting communities. Teambuilding on the basket court Rome, Italy - Proger has attended the event “Basket Execution & Teambuilding Experience” organized by CFMT (Training Centre for Managers), held in Rome last 8th June at the Eurobasket sports centre, with coach Valerio Bianchini, the first coach who has ever won three championships in Italy with three different teams. If seen from the management point of view, Basket can be seen as an extraordinary team building training ground, where the ability to communicate, understand, emphasize the skills of the team and to blend the differences to constantly adapt to the changing games situations are attitudes and challenges similar to the ones that managers have to face every day within the company. This participation confirms Proger’s interest and attention - witnessed also by the three-year sponsorship of the Chieti Team - to the link between corporate culture and sport culture as a lever able to convey important values, create synergies and offer new opportunities. Road ‘Pedemontana Aspromonte Tirrenico’ Reggio Calabria, Italy - Proger has been awarded, together with the company Cosedil S.p.A., with the detailed design and works execution on the basis of the final design of the road Pedemontana dell’Aspromonte Tirrenico, linking the mountain municipalities of Cinquefrondi, San Giorgio Morgeto and Cittanova (province of Reggio Calabria), connecting the former main road 111 and the “Strada di Grande Comunicazione” crossing the ridge between the Ionian coast and the Plains of Rosarno. With reference to the project, one of the main aspects of the technical offer developed during the tender stage referred to the operating process proposed for the completion of the viaducts structures partially built and abandoned between the \'80s and the \'90s. In this regard, due to the poor knowledge of the types of underpinning already built, of the mechanical characteristics of the concrete and of the reinforcement rods at its inside, Proger has proposed the abandon of the existing substructures and the realization of brand new works for three out of four viaducts of the section. As per the Macario viaduct, the most important of the lot, the reuse of the existing piers and abutments has been studied, after the optimization of the design of dosserets, which will be lighter because fully in steel. This solution ensures a general behaviour of the viaducts in case of seismic events, a longer overall lastingness, better safety and a clear simplification for the construction stages. Finally, the offer has been completed with some technical improvements and with the identification of a series of additional interventions in the territories of the surrounding Municipalities, in order to benefit road users and to emphasize the territory. Proger joins the World Trade Centers Association Pescara, Italy - Proger has signed an agreement for the acquisition of the 49% of the World Trade Center Pescara/Chieti, joining the main worldwide independent association for the international trade. The World Trade Centers Association, established in New York in 1970, has more than 300 WTCs in 100 countries worldwide, which work to offer trade services to the companies of their territories. Thanks to the know-how gained in 60 years of experience at international level, the company will support the WTC Pescara/Chieti in the commercial, promotional, logistic and consulting activities to the companies wishing to work abroad. This agreement strengthens the international nature of the company and reinforces the bond between Proger and Abruzzo, kept and constantly increased through the promotion of local projects and activities. Being part of the World Trade Center Pescara/Chieti is for Proger - always engaged in the development of global networks for the creation of new business opportunities - a great value opportunity to explore new markets and identify different development strategies. At the same time, for the WTC Pescara/Chieti, the entry of our company is a structural consolidation and an important enhancement within the regional excellence basin it represents globally. New Wholesale Market in Milan Milan, Italy - Proger has concluded the preparation activity of the Feasibility Study of the New “Ortomercato” in Milan, after winning a year ago - in Temporary Business Association with ABDR, Systematica, KPMG, Idea eng. and Avalon - the international competition of ideas organized by SO.GE.MI S.p.A. for the redesign of the biggest fruit-and-vegetable wholesale market in Italy, which covers an area of 490.000 sq.m. Designed as a logical reorganization of the spaces currently used for the trade of fruit and vegetable and as the requalification of the nearby areas dedicated to complementary activities, Pa.S.T.A., the first Agri-food Scientific and Technological Park in Milan, has been well conceived: an experimental centre, with a sustainable approach, based on agri-technology, scientific innovation and research applied to the agri-food sector. As far as the project, in these months Proger has regularly flanked SO.GE.M.I. as technical advisor, even during the meetings with the Market operators and the Municipality of Milan. Thanks to its ten-year experience in the logistics sector, the company was in charge of all the engineering activities and has coordinated the various specialized aspects through in-depth verifications both of the technical profiles (engineering, energy, environmental, transportation, architectural and town-planning) and, in collaboration with KPMG, of the financial-economic scenarios aimed at assessing the complex feasibility of the initiative. Nenè Marine. Second phase Pointe Noire, Congo - Proger will support ENI Congo during the second phase in the development of the Nenè Marine Offshore Field. 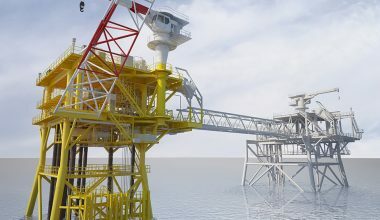 As EPC Contractor, in joint venture with the Gruppo Antonini, Proger will oversee the management, engineering and procurement for the assembly and installation of a new platform - composed of a “four legged” jacket and two level deck - inside Marine Block XII. Proger will be responsible for the transportation and refurbishment of the jacket and deck, including all engineering services, materials procurement, fabrication, tasting and certifications, seafastening fabrication and loadout for the shipping of the structures from the United States to Congo and the Quality Management System. Blanket Order with Terna Rome, Italy - Proger has been awarded with the blanket order for environmental and supporting activities to the authorization stage of the electric works pertaining to Terna, in Central and Southern Italy. Activities would concern Environmental Impact Studies and environmental, geological and archeological landscaping reports relating to electrical stations, overhead lines, cable lines and/or demolitions. The 5-year contract confirms and consolidates the relation the company has been having with Terna since 2010, year in which it was entrusted with three blanket orders for the executive design of the civil works of the new electric stations located in the South of Italy, Centre of Italy and Sardinia, and in the South of Italy. A new healthcare structure in Venaria Reale Turin, Italy - As Parent company, Proger has won with Manens-Tifs and IG Ingegneria Geotecnica the tender for construction supervision, accounting services, assistance during testing and safety coordination during the realization of works for a new healthcare structure in Venaria Reale, in the province of Turin. The new hospital, designed paying attention to comfort and to the humanization of the spaces, will be a modern and functional building, technologically advanced, energy-efficient and architecturally compatible with the surrounding environment. Blanket order with Saipem Rome, Italy - Proger has been awarded with a two-year blanket order relative to the development of Environmental Studies and Analysis activities for Saipem. The company will support Saipem, both in Italy and abroad, in monitoring the environmental performances and in managing and minimizing the environmental impacts in the life cycle of the operating activities. 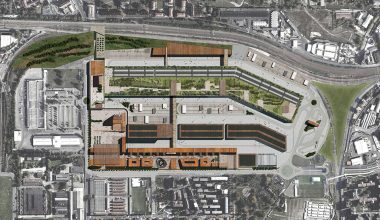 Redevelopment of the former “Ospedali Riuniti” hospital in Bergamo Bergamo, Italy - Proger has won the tender announced by Cassa Depositi e Prestiti for the execution of integrated engineering services related to the functional and legislative redevelopment of an important real estate complex in Bergamo, the historical seat of the “Ospedali Riuniti”. 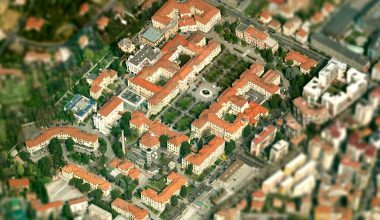 The gross overall surface of the area extends for more than 13 hectares and it has been identified as possible national seat where to establish the new headquarters of the Accademia della Guardia di Finanza. 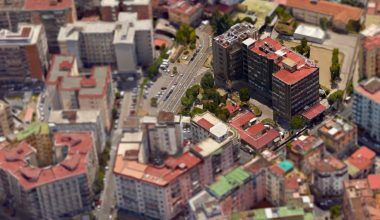 The intervention foresees the refurbishment of most of the 19 existing blocks, while other blocks will be demolished where a new athletic track and other sport facilities will be built, with related service facilities, including underground parks. Proger will be in charge of the integrated design, construction supervision, safety coordination and responsibility of works, relying on the technical-managerial partnership with Recchi Engineering srl and Manens-Tifs srl. Framework Agreement with Eni in Mozambique Mozambique - Proger has been awarded with a three-year multidisciplinary engineering framework agreement for Eni East Africa in Mozambique, a country in which it is already engaged, on behalf of the local Ministry of Transport and Communications, to evaluate the development possibilities of the three corridors located at the centre of the country. The new contract represents a step forward to the stabilization and consolidation of the company’s presence within a strategic country, with reference to a current development policy on the international markets and it is also a confirmation of the strong long-term relation that Proger has with ENI worldwide.